The spectacular Mercure Ardoe House Hotel in beautiful Aberdeenshire, saw a group of dedicated participants from Tenaris Global Services tackle the ever popular Crystal Challenge. A fun filled, action packed early morning blast of physical, mental and problem solving activities lay in wait for the eager group. Split into 3 teams, they would battle it out head to head, all in pursuit of one dream - to win the coveted and highly sought after Team Challenge Company winner’s trophy. For one team, it would soon become a reality! The Razz-Ma-Taz Team immediately hit a hot streak! They made the competition sweat as they bagged the first bonus crystal of the day, taking the acclaim for the best team name. Each crystal meant 3 seconds inside the famous Crystal Dome in our Dash for Cash finale! Team Aquaba Aberdeen dreamed of glory early on as they posted an impressive score on the Chicken Fox and Grain challenge. The Razz-Ma-Taz team roared through the early stages of the competition with an efficient but effective performance on the physical Interlocker. The Minions also performed well, and certainly laid down the gauntlet for the rest of the day! Could they keep this level of intensity up and blow the others away early? Only Time would tell. Aquaba Aberdeen weren't far behind the early front runners as they hit an impressive result on the Interlocker but unfortunately couldn’t get to grips with the Towers of Hanoi - always a tough ask especially this early in the day – wait for the caffeine to kick in! The games rolled on with some awesome individual performances on Nail It, Flag Race and Bat the Rat – just look at those photos showing faces of sheer determination! It really was anyone's game as the teams awaited to enter the Crystal Dome for the Grand Finale! They all had their ups and downs, their wins and losses and the final tally revealed just what a tight race it had become. We counted the crystals! A fantastic return on their challenging endeavours. The Minions were left on their heels and only mustered 5 crystals. It wasn't for the lack of trying however, as they did all they could do to keep up with competition! They had 25 seconds inside the dome. Everyone else had 35 seconds! Would this prove pivotal in the outcome in the Crystal Challenge? One by one the teams sent their chosen one into the Dash for Cash. The team who grabbed the most would win the trophy - It was that simple. As the competitors focused on the task at hand they were met with rapturous applause. The hopes of an entire team hinged on them. And they knew it. Frantic flailing arms were greeted by a wall of noise as the baying crowd implored their team mate to rise to the top to grab more cash than the rest! They were all a credit to their team! Doing all they could in their search for legendary status. After the fitting, fearsome, frenzied finale the teams awaited their fate. All their efforts came down to this. In last position, taking home the dreaded Wooden Spoon award was Team Razz-Ma-Taz!! An unexpected, unrivalled shock to say the least! The early favourites succumbed to propping up the rest of the table, amassing a measly 35 Golden Tokens from the dome! Remarkably, in 2nd were Aquaba Aberdeen who defied the odds to end up only missing out on top spot by 5 Golden Tokens!!! Well done to them. A sterling effort. But the big winners, taking home the gong were The Minions, whose steady, measured efforts proved fruitful in their pursuit of greatness they had taken 49 Gold Tokens from the dome! The afternoon kicked-off with a sense of nervous anticipation flowing around the room, all guests waiting excitedly to see what next lay in store for them . The good news is the 6-mile jog we told them about was just a joke (event though Donna had worn her new running trainers just in case! ), and the teams were quickly reformed as they prepared to head out on to the grounds and compete head-to-head across a variety of Scottish Highland Games Challenges. Some would test our guest's skill, others would focus on their physical prowess, and it would all come down to which team performed the best throughout the afternoon to score the most points and walk home Champions. There were a number of highlights right throughout the afternoon, many of them too embarrassing (and some of them too rude...!) to mention within this blog. We have, however, included some photographs of our favourite moments from the day, and would be delighted if you could add in your 'best bits' into the comments section beneath this blog. We'll just say everyone was Welly Boot Head over Heels as the Highland Games proved a big hit with all the teams, especially once the Jimmy wigs and Kilts were donned! Razz-Ma-Taz were absolute legends when it came to Tossing the Caber, whilst the Minions were awesome at striking gold and hitting the Bulls Eye on the Archery Range! Aquaba Aberdeen showed off almost professional skills out on the “See You Jimmy” relay race course...we fully expect to see you all at Braemar Gathering next year! The entire afternoon had been a huge success, and was thoroughly enjoyed by all in attendance. A big shout-out and thank-you goes to Morven for all her hard work and effort in organising such a fantastic day. 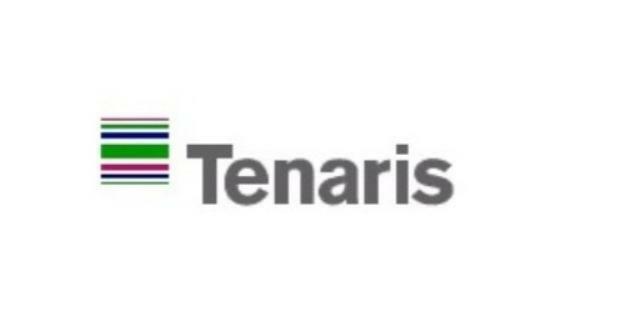 The entire Tenaris Global Services team were an absolute pleasure to work with, and we look forward to seeing you all again in the near future…. Fully Jimmy-Wigged and Kilted of course! The final gifts and prizes were a fitting end to what was a memorable day with some genuinely brilliant people. Thanks for the memories! A huge thank you to Morven who ensured their time at Mercure Ardoe House Hotel was both fun, competitive and bang on time for a delightful lunch …respect Amir! See you next year for a rematch! Thank you on behalf of Tenaris for the fantastic team buidling day. We all had a fabulous time. The event was very well organised and the team are extremely organised, motivational and good fun. Exactly what we needed. Hope to see youo again soon!!!!! Thank you also to Rachel and Morven from Citrix Mix. What a fun packed day! Everyone had such a great time- so did we! Ardoe House Hotel once again played excellent host to a day of riotous laughter and games! Looking forward to the next one!